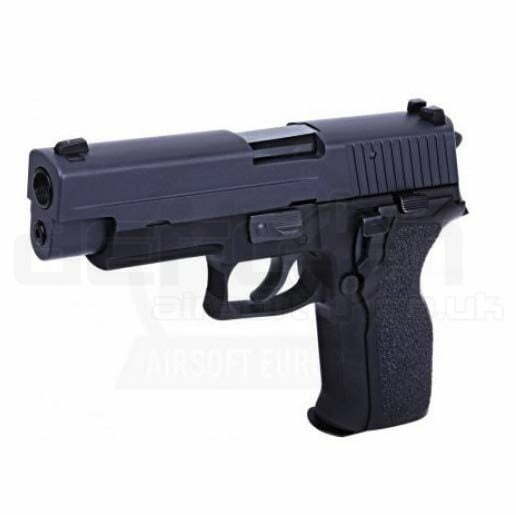 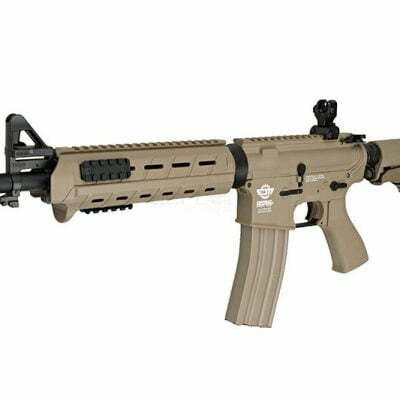 The WE F226 is a full metal construction version of the world famous Sig P226 as seen in use by the british military, the SAS and various other police and armed forces the world over. 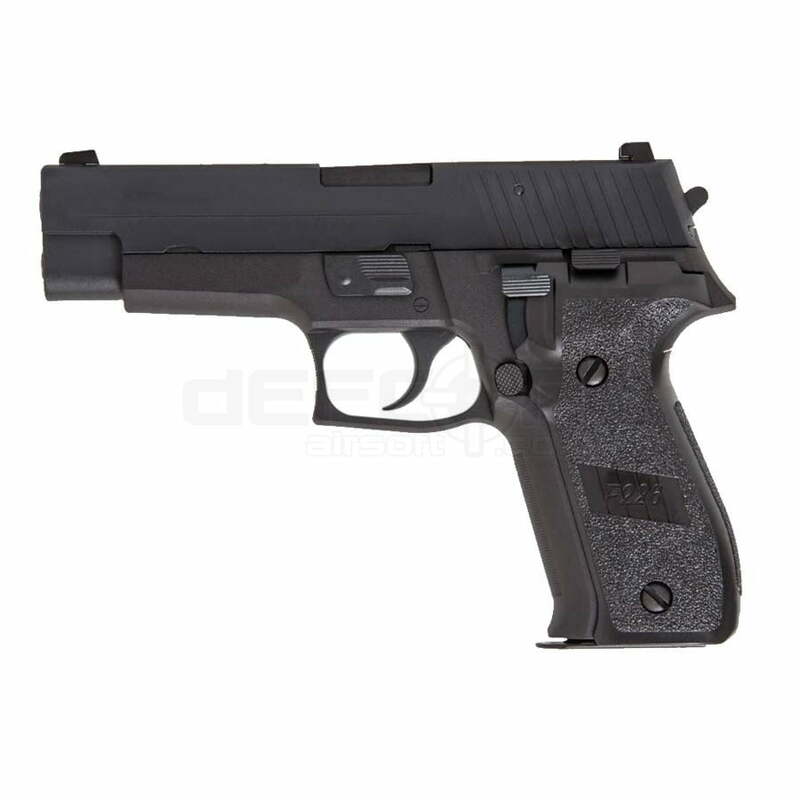 With a full metal body and slide with plastic grips and a 25 BB capacity magazine, this pistol has a great action with the classic 226 style decocker and slide release lever (and yes it does lock back on empty!). 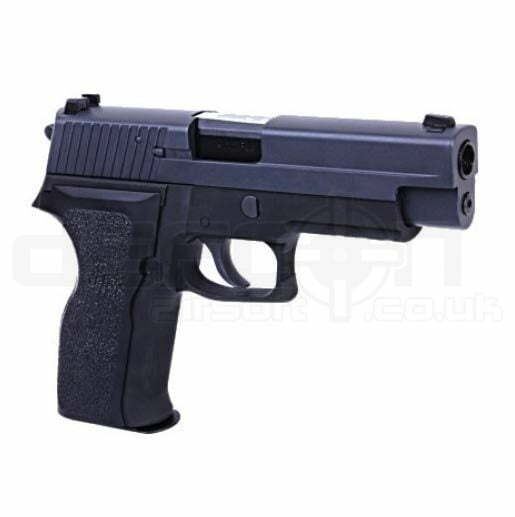 These new pistols from WE feel a lot nicer to use than a lot of other GBB pistols and they are very solidly built. 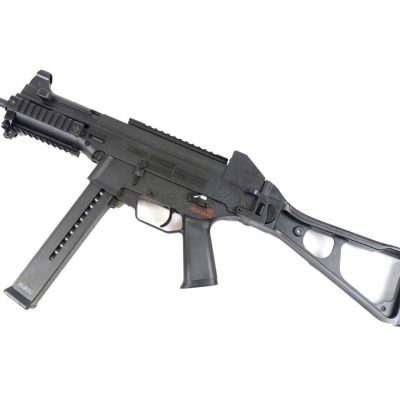 As this has a metal top slide we recommend using Green gas with this pistol.